Korean pop singer Rain, who is arguably the biggest sensation throughout Asia, made “a slip of the tongue” during a TV show, which incurred a response from another formidable pop musician, Park Jing-young or better known as “JYP” among his fans. Rain recently made a remark: “I already surpassed Park Jin-young,” a statement that could be interpreted as a sign of confidence or arrogance, depending on how it was seen. During a show, aired by SBS on Friday, Rain said he received a personal text message from Park after the remark. Park shot back to Rain: “Am I your jumping board?” said Newsen.com Saturday. 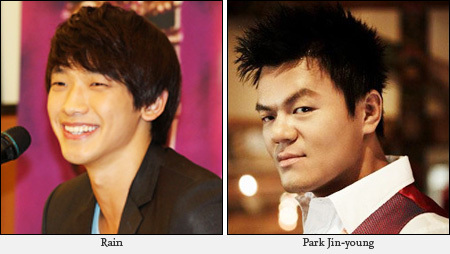 Judging that his remark might have irked Park’s anger, Rain came to his defense, by apologizing to Park. “Oh, no∼ there was misunderstanding,” Newsen. Com cited him as saying. Park said: “Misunderstanding? What misunderstanding?” it said. Park is one of Korea’s best pop musicians, who is well known for his talents in singing, dancing, song-writing since 1994. He later extended music career by forming JYP Entertainment, a production company in 1999 which is one of the biggest talent and music producing companies in South Korea. 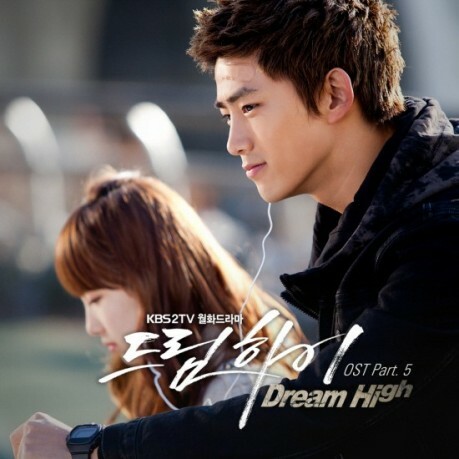 Great talents like Jinju, G.O.D., Byul, Lim Jeong Hee, Min, Noel, Ivy, Park Ji-yoon and Rain all got their start there.